New! Popular! 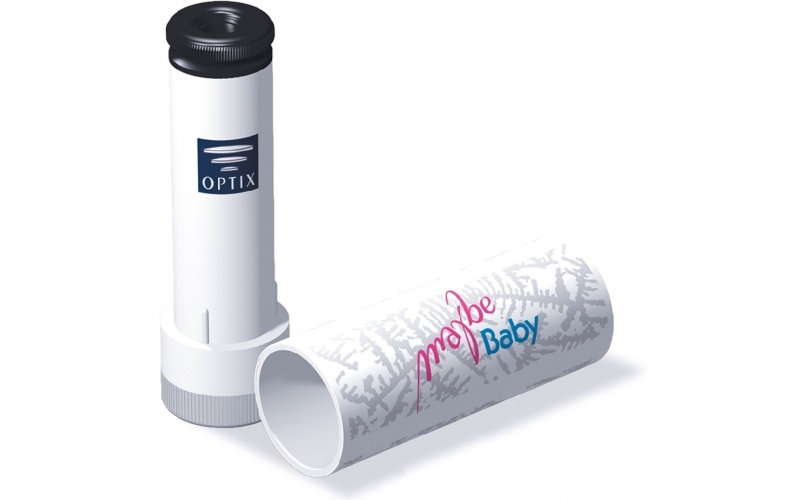 The Maybe Baby Reusable Fertility Test is manufactured in Europe under some of the highest standards in the world (ISO 9001:2008). Re-usable mini-microscope that helps you identify your most fertile days and the ideal time to conceive. It utilizes and measures the link between estrogen and the salt levels in your saliva. Simple, non-invasive.. Compact unit. 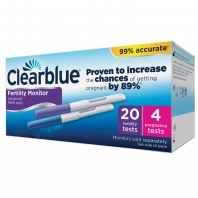 Helps pinpoint ovulation 2 to 3 days in advance. Results can be seen in 10 - 15 minutes. Saves you money each month - No more strips to continually purchase. Just a simple, lipstick sized saliva based tester. Re-useable day after day, month after month. Compared to other Saliva tester knock offs our tester usesDual Ground Optics for unbeaten clarity, our optic chamber is permanently sealed to protect from dust and dirt, and it is easy to clean with a small wipe to maintain a clear viewfinder.